Every year KickassTorrents finds a new location to host its domain in order to prevent any site blockage on the domain level. Last time the domain was taken to Somalia, so their URL extension ended with .so. The team behind KickassTorrents has just lost the .so domain, and the website hosted on it went offline. This website was definitely being most visited among all the other domains of Somalia. Still the registrar decided it was justified enough to plug out KAT’s main website and leave all of its users with lack of knowledge. The site’s popularity is believed to be the main reason many copyright holders wanted to bring it offline in the first place. 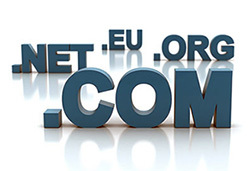 Users who visit the .so domain see that the web URL is currently marked as banned. Despite this there is no reason for panic. Torrent sites get taken out all the time, and usually they appear few hours later on a new domain or server, whatever was the reason in the first place.